Project Address Sector-93 A, Noida-Greater Noida Expressway, Noida, Uttar Pradesh, INDIA. 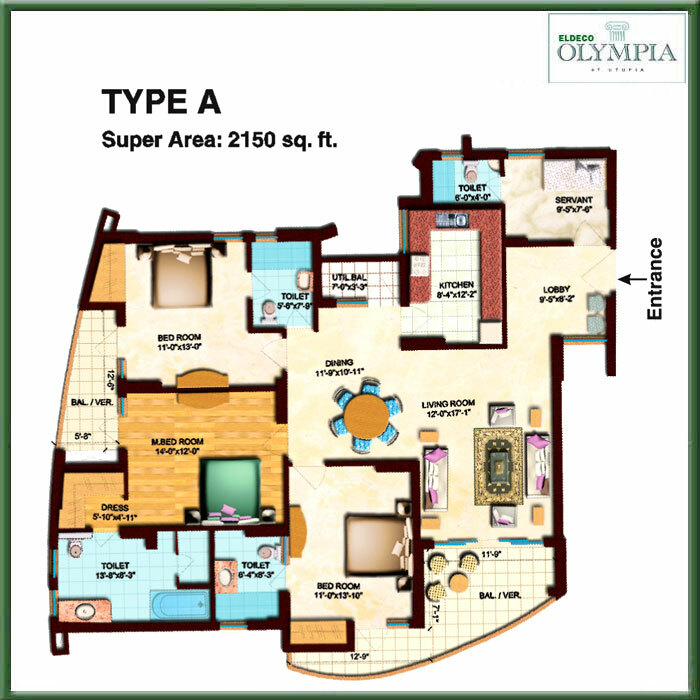 Eldeco Olympia is located at sector 93A Noida. The venture is an outstanding apartment meant for a lavish lifestyle. In addition to the lavishness the project is surrounded by features such a serenity and tranquil atmosphere. All the high quality facilities like club house, swimming pool, banquet halls, gym, sports arena, barbecue corner is part of this outstanding development. It comprises of 3 BHK apartments and penthouses of approximately 1655 sq.ft to 2150 sq.ft. It is surely a good real estate investment. 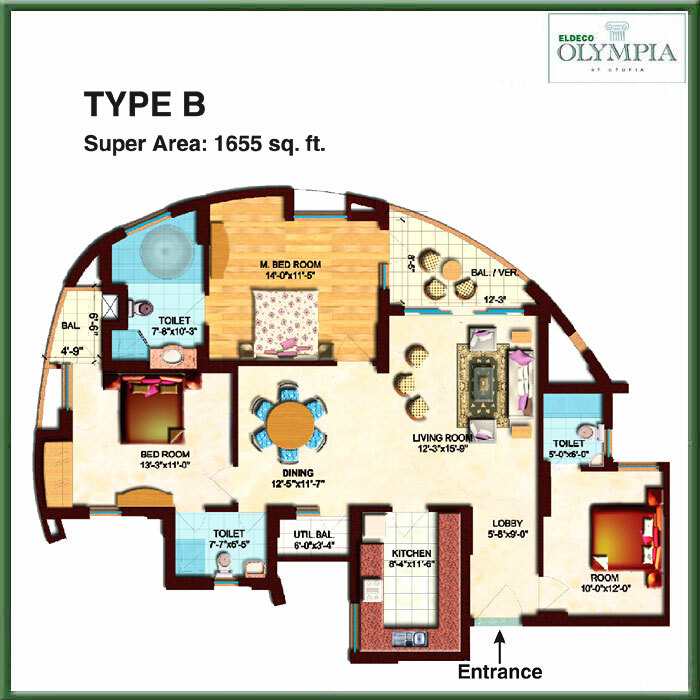 All the major economic and social facilities like schools, ,markets and retail stores are situated nearby the Olympia. Sector 93 A Noida 2150 Sq.ft. Sector 93 A Noida 1655 Sq.ft. Sector 93 A Noida 2045 - 2736 Sq.ft. Sector 93 A Noida 825 - 825 Sq.ft.